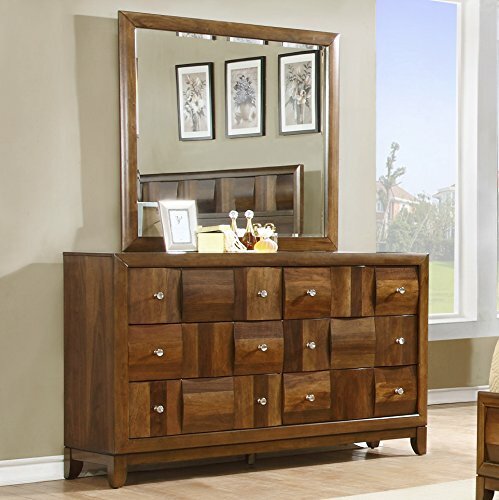 The Calais walnut finish solid wood construction dresser and mirror is perfect for your well-appointed bedroom. This distinctive dresser includes six generous drawers yet has the look of many more. All feature decorative aged silver pulls that add to the charm. This dresser is made of wood and finished in nice walnut. Complete the look by adding the matching mirror. This mirror reflects the casual feeling of your bedroom and shares the same sturdy construction and walnut finish. If you have any questions about this product by Roundhill Furniture, contact us by completing and submitting the form below. If you are looking for a specif part number, please include it with your message.